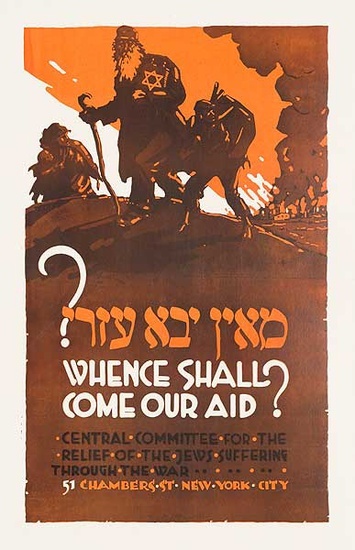 Compelling imagery from World War I fundraising campaigns for aid to Palestine and Eastern Europe. 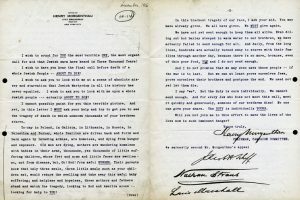 JDC recently commemorated its centennial, marking its founding in August 1914 at the outset of the turmoil of World War I. 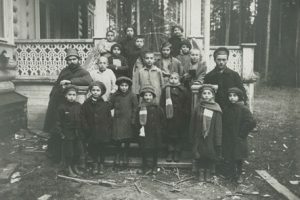 Half of the world’s Jews, both in Ottoman-ruled Palestine and in Eastern Europe, were caught in the line of fire and cut off from their traditional sources of aid in Europe. 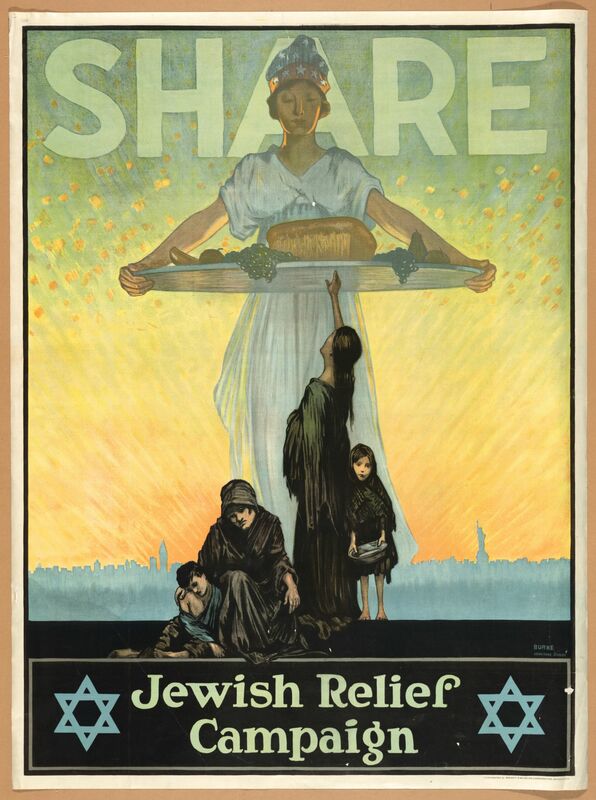 In order to maximize resources and to transfer aid to vulnerable communities as rapidly and efficiently as possible, three separate fundraising organizations in New York—the American Jewish Relief Committee, the Central Relief Committee, and the Jewish People’s Relief Committee of America—combined their operations in October 1914 to form the Joint Distribution Committee of American Funds for the Relief of Jewish War Sufferers, subsequently known as the American Jewish Joint Distribution Committee. As the conflict continued to wreak devastation on thousands of Jewish communities in war-torn regions, the need to raise funds and address needs abroad became even more acute. JDC needed to raise funds to support numerous relief initiatives, including: subsidized locally-run soup kitchens and food distribution centers in Europe and Palestine; free medical care, clothing, shelter, and food for thousands of European refugees in Vienna; and the establishment of the Palestine Orphan Committee to care for over 4,000 children orphaned in the course of the war and its aftermath. To realize these humanitarian goals, JDC’s constituents embarked on a publicity campaign to raise awareness and garner support from Jews from every part of the country. 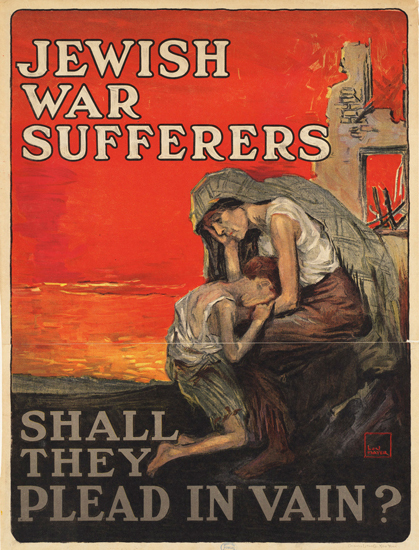 These early campaigns employed newspaper notices, brochures, passionate speeches, public gatherings in urban spaces, and informational materials which were intended to evoke not just sympathy for the plight of Jewish communities and individuals abroad, but also to serve as a compelling reminder to American Jewry that they had a responsibility to make use of America’s bounty to help sustain their Jewish brethren. Three examples of this compelling imagery are manifest in the three posters pictured (above), which were used in JDC’s early fundraising campaigns. 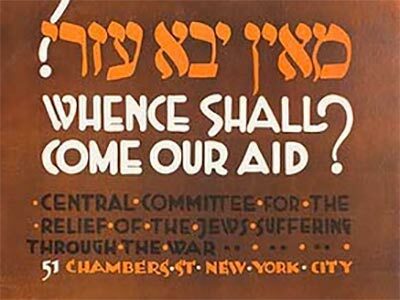 JDC’s early fundraising efforts for Jewish communities overseas resulted in an estimated $16.5 million raised by World War I’s end.